The national average cost of a wedding is about $25,000. Here in central Kentucky the average is between $19,000 (with $31,000 being the high average!) . These astonishing numbers aren’t totally dictated by what a couple plans to spend; it’s mostly directly related to the cost of hiring a business for xyz. The venue usually accounts for 10%-20% of a wedding budget, food around 30%, photography 13%, and everything else between 1% and 10%, which is for a florist, music, cake, ceremony, favors, invitations, rentals, hair and makeup, and officiant. This doesn’t include jewelry, attire, gifts, parties, or showers. Typical weddings are expensive; what happens when someone does not have $19,000? What if a couple’s budget is $10,000 or even $2,000? What happens when there is no help from family? This is when a wedding has to be minimal or really creative. It can be rather hard on a couple, especially a bride, to know they can only have a really cheap wedding while they see everyone else having nice weddings because they have or been given money to do so. There is only so much a person can DIY without being so stressed they can’t handle the actually wedding day. A cost effective way to trim down the wedding budget is to have a backyard wedding. Not only can this trim down the budget in the venue category, but it can also help you make other budget friendly choices in other categories. The popularity of having a backyard wedding is growing whether its because of budget issues or because a couple doesn’t want something so large and formal. Having a backyard wedding may not seem as glamorous in the beginning. But think about it, you get to tailor a lot more ideas since you’ll be working with your own space. A ceremony and/or reception can be fitted to work with the space you have. They can also be quite intimate, and you have the potential to do more of what you’d like since it’s your own space! While having a backyard wedding can be simpler in many aspects, it does not always mean it will be easy. There are still a lot of decisions no matter how you slice it. A wedding, no matter where you have it depends on your choices. A backyard wedding could be more expensive than having it at a venue if you still want all the bells and whistles and invite lots of people. 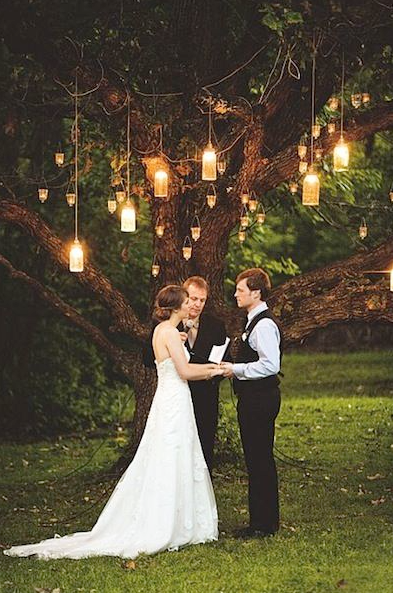 If you’re considering a backyard wedding, take into consideration the following. 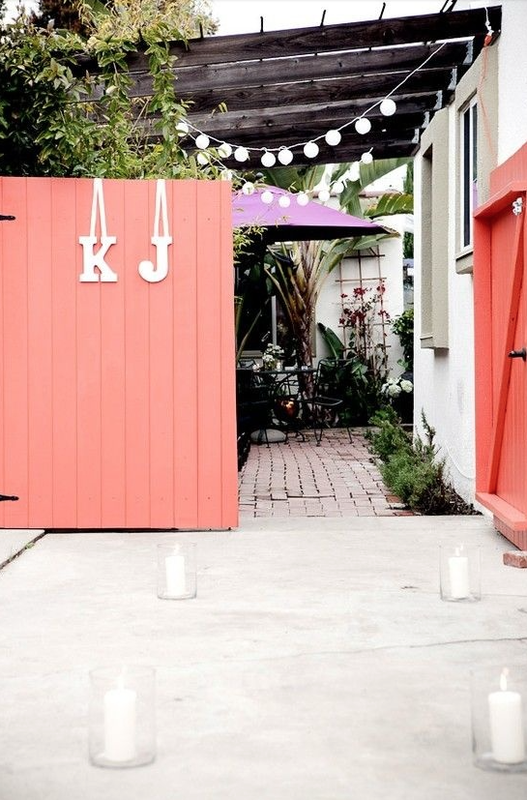 Is a backyard wedding for you? The largest consideration is the amount of space you have and the amount of people you want to invite. How much physical space do you have in and outside your home? If your house isn’t an option, is there a friend’s or family member’s home? How much parking can your street accommodate or can you arrange other parking? How many people are going to be using your bathroom? You may have to consider a smaller ceremony and or reception. Another option is to have an open house reception where guests can freely come and go during certain hours which means you can invite more people who you want to visit. It could be older family arrives and leaves early and closer friends will arrive later or stay longer. How will I arrange the space? The second question to consider is more about the space you have. If you can accommodate the amount of people you want to invite, can you also fit in other amenities you wish for? A dance floor and or DJ? Designated ceremony space? Tables and chairs for dinner? Games, photo booth, maybe even a porta potty if needed? Can you handle x amount of people being at your home at once? Even though you’re having your wedding in a backyard, you still can’t do it all. Hiring a wedding planner or even a coordinator for the day can still be an asset. They will likely see things about the space you won’t, and they can help you plan how the event will flow and function. You will likely still need people designated to help with setting up, taking care of food, or changing the space around during the event. Without the cost of a venue, can you invest in your home? Chances are some or all of the wedding will be spent outdoors. Could your space use some fixing up? One great advantage of having a backyard wedding is that your venue space is free. The money saved from the expense of a venue can be put towards investing into a beautiful backyard space that will last so much longer. If you’re planning to sell the home, you’ll increase its value and chance of sell. If you plan to stay, you’ll have plenty of memories of the wedding you had in your nice backyard and you’ll still have a great space to continue enjoying! Planning a landscape is best done as far in advance as you can. If you’re having a spring wedding, you should prepare you landscape by the end of the previous summer. Hiring a landscape designer to redesign your space with your backyard wedding in mind can make be a great benefit to the ambience of your wedding. You may not need to decorate much or buy flowers for decorating because they’ll be in your garden. The designer can pick out specific plants that are going to be impressive backdrops at the time of your wedding. A landscape designer should also make sure the grounds will be safe for walking and in general for safety. EARTHeim offers design services specifically for backyard weddings. From consultations, landscape design, fine gardening, helping with outdoor decorating, we can make your special day a beautiful one! 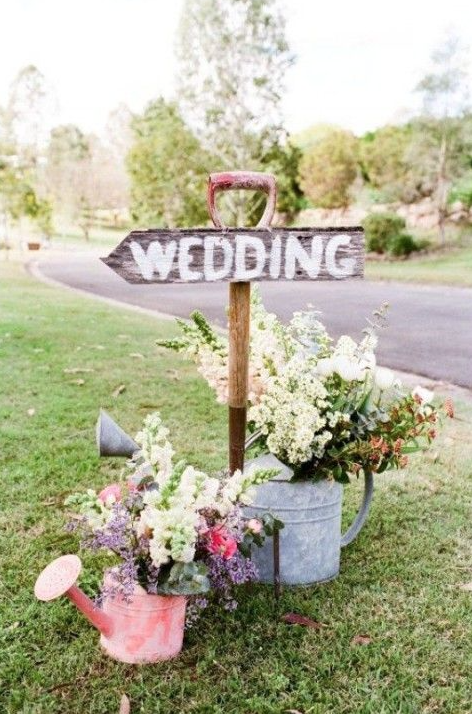 Visit the EARTHeim Backyard Wedding Pinterest Board for ideas. If you plan to rent any tents, tables, chairs, etc. you should be clear on when they’ll be dropping off and picking up the rentals. You should also ask them if they’re going to be dropping them off at the curb of if they would take them to your backyard space. If you’re hiring a caterer, have them come over and inspect the area so they know what they will be working with. This is a very important step to make sure the food is set up well. You don’t want an unhappy caterer! If you’re hiring a DJ or band, you should make sure you’re going to have enough power. Hiring an electrician to plan logistics is not a bad idea if you’re planning to have a lot of things plugged in. If you’re planning to have a lot of people at once, you should look into any permits you may need with the city. Whether it’s a general permit from the city, the fire department, or to park cars. Also check noise ordinances if you plan to have loud music. Talk to your neighbors about what you’re planning for the day. Ask if they can refrain from having the lawn mowed that day, someone running a chainsaw, or building a barn. Will you be serving alcohol? It would be a good idea to hire a licensed bartender service for liability issues. It is also a good idea to take out extra home insurance for the day in case of any accidents. How much electric power will you need? Are you planning to hire a DJ, have a lot of lighting, etc.? You may need to rent a generator. Remember generators are loud, especially if you’re in a small space and have neighbors to consider. Or ask a neighbor for the favor of using one of their outdoor outlets. Try to use candles for ambient lighting or solar/battery powered lights. Is your home open to guests staying the night? It is advisable to set up a block of hotel rooms if you’re expecting many out of town guests. If you have a septic tank system, you may need to rent a portajon. Thankfully, many companies offer really nice ones. A general rule is to have 1 bathroom for every 35 guests. Have a plan B for bad weather, and really bad weather. You could still have your event outside in light rain with tents set up. However, you should plan to have it indoors if there’s really bad weather. With your wedding at a home, is there a way to save on food? You can stock your fridge and pantry with appetizers and drinks. You can warm food in your own oven, or rent catering equipment yourself to keep food warm. You can also ask friends to borrow coolers to keep extra drinks cold along with fruits and cheeses. What about having a food truck too? Have a crew to help clean up, wash any dishes, and get your home back in order. If you feel like you’re choosing a backyard wedding because it’s your best choice due to a budget, there are some ways you can make your day more special. Think about staying at a local hotel or bed and breakfast for your wedding night. Decorate the inside of your home specially for the wedding. Store extra clutter in a designated place for the day, decorate like it’s a holiday, hire someone to deep clean your home.